Buffalo check plaid is very difficult to draw/paint. Maybe I just need to practise it more. She is wearing an outfit I own though. 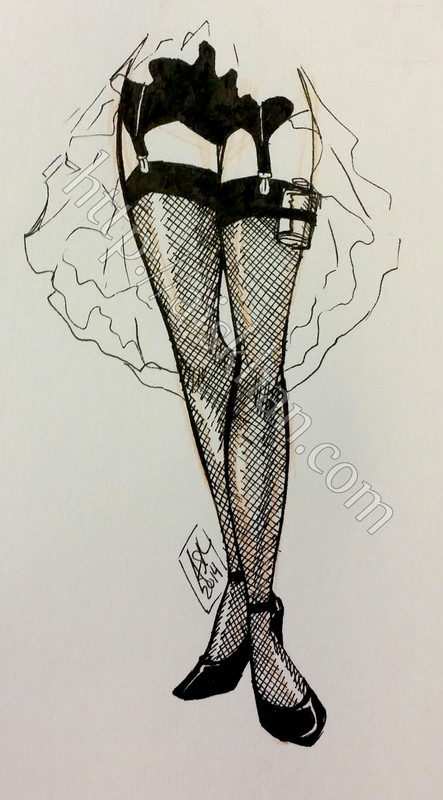 Most of the ladies I draw have a similar fashion aesthetic to me though. Witchy boots. I need to find a pair like these in my size. I’ve been burnt out from work (not having had any form of a vacation in almost 4 years will do that). 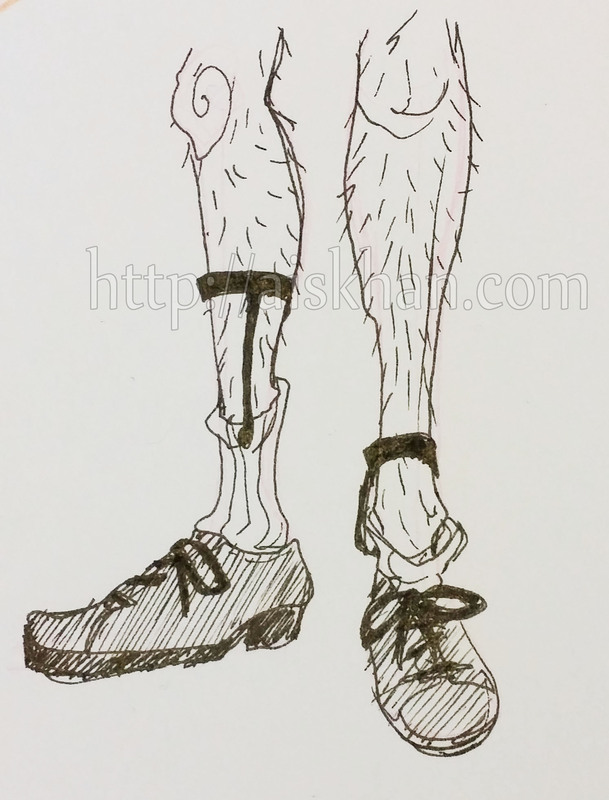 After watching the trailer for Laika’s “The Box Trolls” I started thinking of knobby knees and sock garters. I am the only one who thinks sock garters are glorious things? Probably. 0.1 mm Carbon Ink pen. 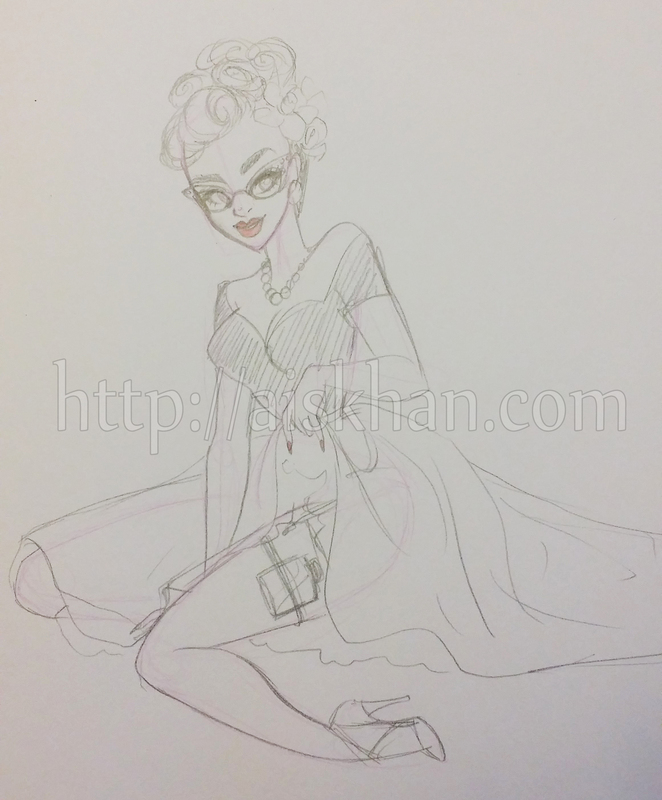 It’s rare that I draw any rough sketches in pencil. This is just a lovely pin up girl showing you where she hides her flask. I’m very tempted to colour this.